Join us at Cibo Wine Bar for an Italian twist on a North American tradition, Sunday Brunch! With delectable Sunday Brunch exclusive menus in both Toronto and Miami guests are also treated to SUNDAY ONLY Champagne specials! Salut to Sunday, Salut to Bubbles and Salut to Brunch! 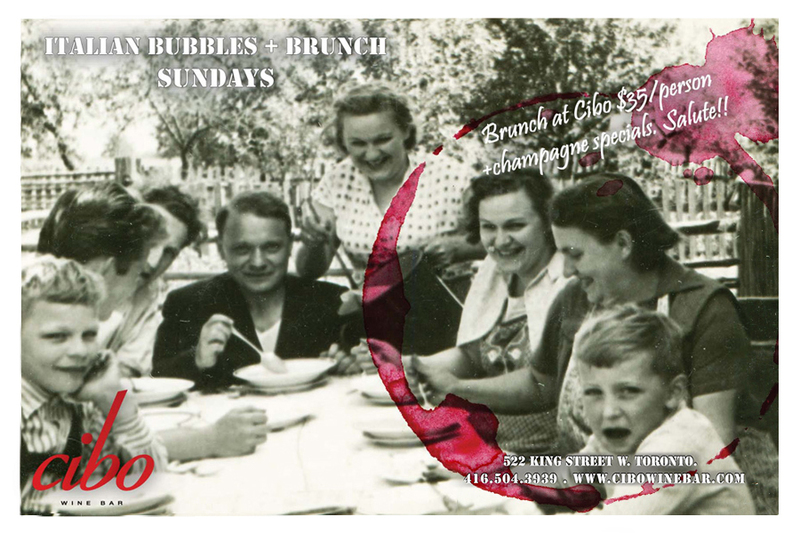 Join us every Saturday and Sunday for Italian Bubbles and Brunch!!! Champagne specials and brunch specials! Salut!